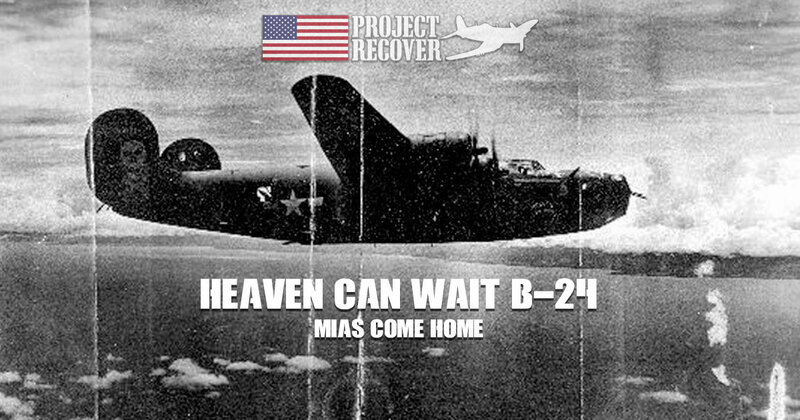 The New York Times reports that Project Recover locates the B-24 ‘Heaven Can Wait’ in Hansa Bay, New Guinea, 74 years after it was shot down Japanese anti-aircraft fire. The B-24 ‘Heaven Can Wait’ was on a mission to disrupt Japanese shipping and supply chains when it was shot down. Lt. Thomas Kelly, Jr., was a bombardier aboard the B-24 and one of the 11-member crew who died that day. On Memorial Day, nearly a century later, Kelly’s cousin once removed began casual research into his family’s war heroes. The research project grew with each fact he discovered. It quickly grew into a family research project that spanned 5 years and included nearly 20 family members. When this article broke, I gave it my undivided attention, as this aircraft was one of the planes of the 90th BG my Uncle Will’s Unit, the 27th Air Depot Group maintained at the Port Moresby PNG airfields. He was quite a photographer, and photo documented his whole SWPA tour (19May43 to VJ Day), featuring many of the aircraft they serviced, camp life, local civilians, PNG spots of interest, his dramatic Luzon PI invasion and post action Manila views. Heaven Can Wait, with possibly a crew member in the scene, is reproduced on Pg. 19 of the book I published about his War experiences: “Keep ‘Em Flying” linked below. Perhaps something or someone featured in my book will help in documenting the work of Project Recover, and assist anyone who is researching the War experiences of their family members who may appear in the photos. Thank you for the heads up on you Uncle Will’s photos. We will pass this onto the families of “Heaven Can Wait”, and pick up the book, “Keep ‘Em Flying”.